The group Ready for the World ascended upon the music scene in the mid-eighties. Their debut album entitled Ready For The World was released in 1985 on MCA records. There were a total of 5 single releases off the debut album with the song entitled Oh Sheila charting to No#1 on four different charts all within the same week. This feat of being no# 1 on the R&B, Pop, Dance, and Video Billboard charts earned the group a place in the Guinness Book of World Records. Oh Sheila also earned Gold status as a single and helped propel the group to Platinum status with millions albums sold. The second album released in 1986 entitled, Long Time Coming proved that the group was no fluke. The hit single, “Let me Love you Down” climb to No# 1 on the R&B charts and leveled at No# 9 on the Pop charts. That year the group also appeared on The Beverly Hills Cop III soundtrack as well as co-produced a song with Rod Templeton (who also wrote Thriller the greatest selling single to date) on the Running Scared soundtrack starring Gregory Hines and Billy Crystal. 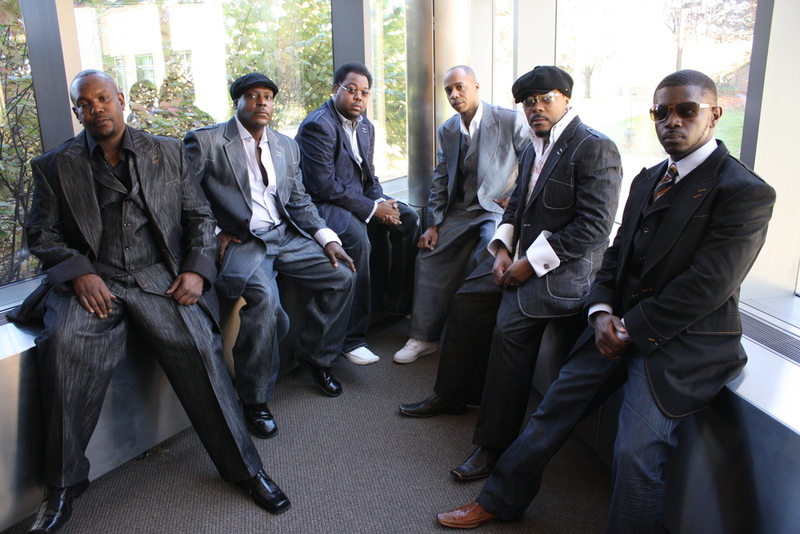 The group toured the following years with Bobby Brown, Boyz II Men, Guy, Jodeci, Mint Condition, and a host of other prominent acts. Ready For The World gave an Honorary performance June 29th 2003 at the Rock & Roll Hall of Fame. A Michigan funk band with slight rock leanings, Ready for the World parlayed Melvin Riley's whining vocals and some trendy production into a pair of number one R&B hits in the mid-'80s for MCA. Riley, Gordon Strozier, Gregory Potts, Willie Triplett, John Eaton, and Gerald Valentine began on their own Blue Lake label before signing with MCA. MCA reissued the song "Tonight" and it reached number six on the R&B charts in 1984. They followed it with "Deep Inside Your Love," another Top Ten R&B single, then had their first of two chart-toppers in "Oh Sheila." It got them a huge crossover smash, ultimately topping the pop lists as well. They scored their fourth consecutive Top Ten R&B record with "Digital Display," "Love You Down" put them back on top of the R&B world in 1986. The album entitled “Straight Down to Business”, in 1991, was their only release during the 90s. The group continued to record and work in different capacities within the music indusrty as writers, producers, studio sound engineers and video producers. After a hiatus from the music scene, the band is moving forward with live shows, new projects both collectively & individually and of featured artist soon to be introduced to the world. Contact Red Entertainment for Booking Ready For The World for your next event.